Mani is the middle and southernmost peninsula of the Peloponnese and is split between Laconia and Messinia. 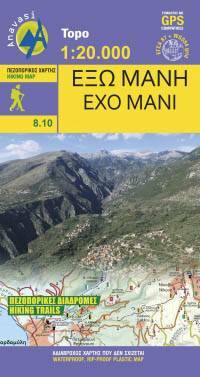 Exo Mani is the name of the northwestern part, which belongs to the prefecture of Messinia. Exo Mani preserves a treasure trove of Byzantine and post-Byzantine churches and castles in breathtaking landscapes. 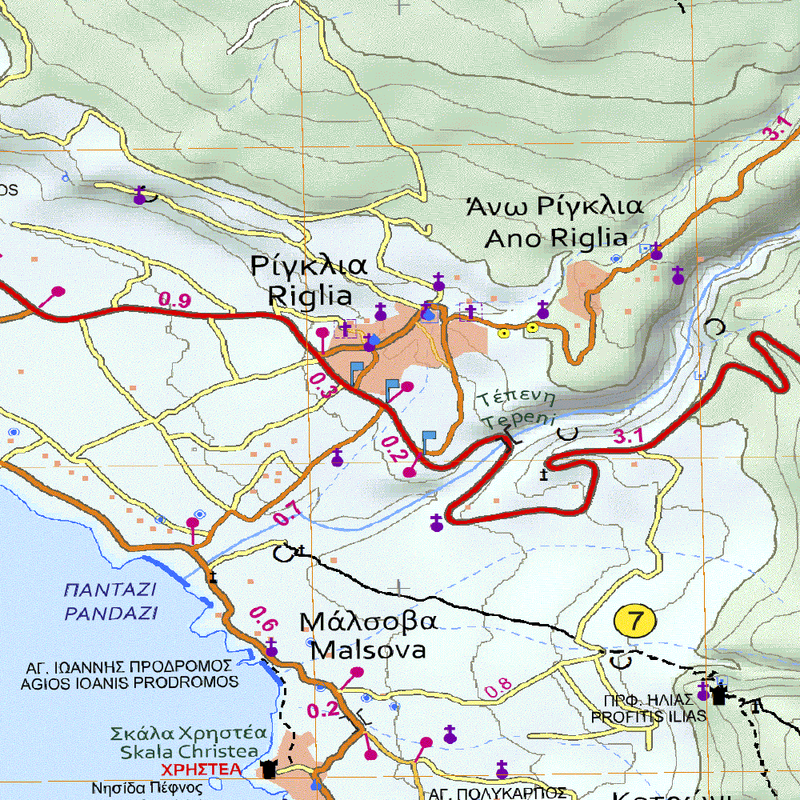 This digital map covers the southern part of Exo Mani from Stoupa to Trachila and includes the areas of the villages Prastio, Saidona, Neochori, Pyrgos, Kastania, Karyovouni, Milia, Thalames, Agios Nikolaos, Lagada.